Poisson Fresh Fishmongers Ealing. 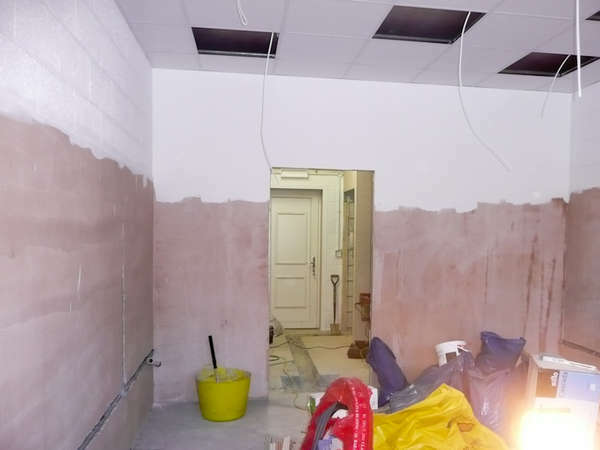 This newly built retail premises was offered to our client as an empty shell. The concrete floor and walls offered a blank canvas for us to work on. The client wanted a contemporary look for their Fishmonger’s shop. Tiled walls and floor, blackboards for display and freestanding shelves are simple but stylish in the front of the shop. We created a partition to separate the office area, storage and other staff amenities. We were given a tight five week deadline. The shop opened on time to great acclaim from Press, food writers and local shoppers. Poisson has been open for a year now and still looks fresh.